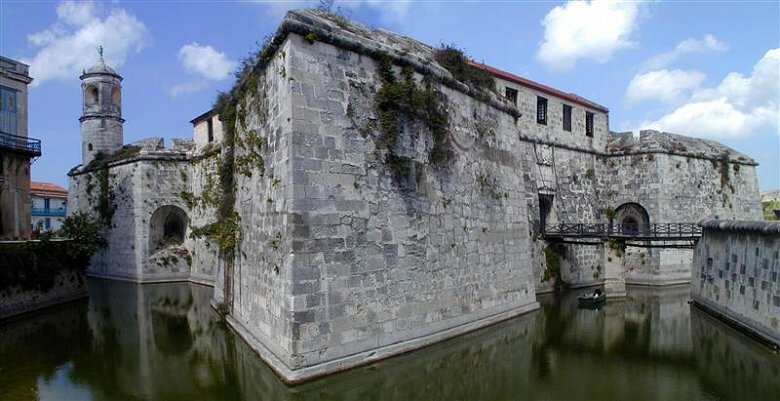 Cuba is not only the largest Caribbean island, but also the most diverse in terms of landscape and culture is concerned. 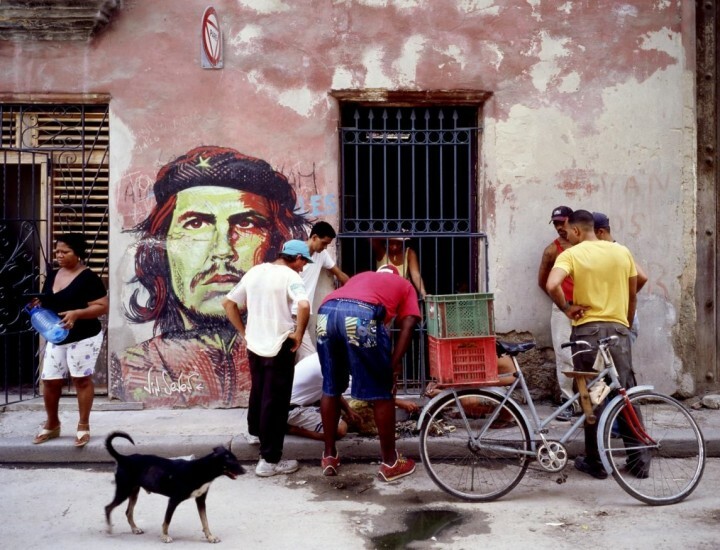 Condition Communist Cuba has always bothered the U.S. But Cuba has nothing to do with the former communist states of Eastern Europe. Cuba is full of color and life and its capital Havana is good representation of it. Havana always conjures up images of dark women, cigar smoke, revolution and passion. Today, the fever of revolution has already faded but the other images are still dormant. Located on the north coast of the island and built around a natural deepwater port, it’s easy to understand why the city has always been so desired by settlers. All of them have left their mark there, but the most important is the Spanish heritage. 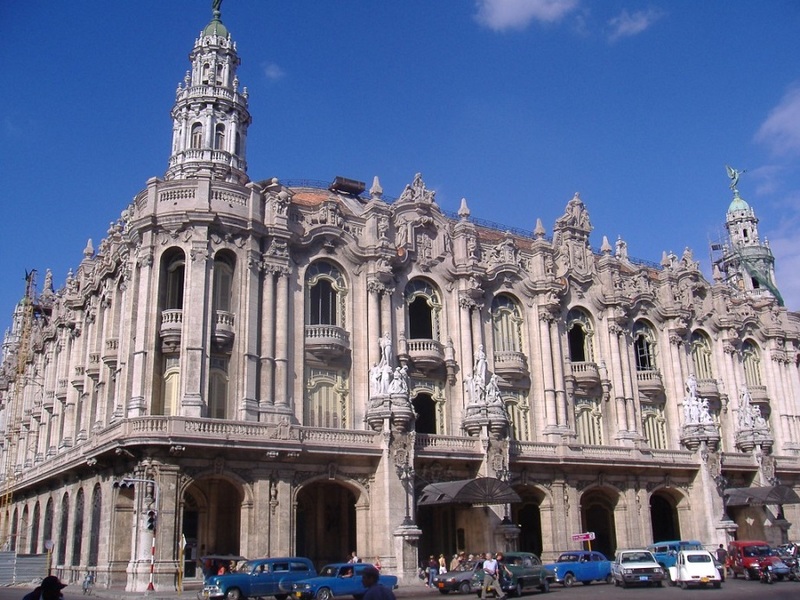 The exquisite architecture of Old Havana reminds Sevilla , with its narrow cobbled streets, its dark squares, barred windows and great, although somewhat decadent buildings. You will find plenty of patios and wrought iron balconies, where whole families gather to watch the world go by. With the help of UNESCO and the money from tourism are restoring some of its greatest buildings. 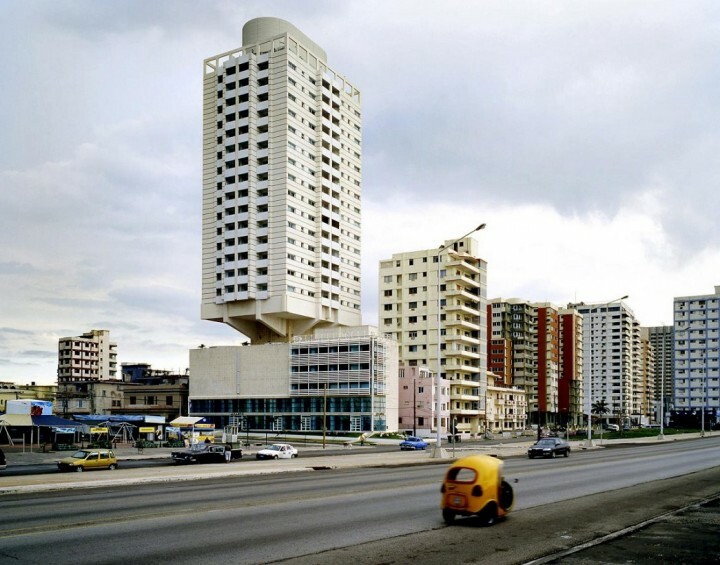 Havana offers the unusual vision painted in bright colors with others that look like they are going to collapse at any moment buildings. Since most flights arrive at night, can be a bit shocking to see the light of day the place is crowded. See thick ladies, color, smoking cigars and wearing turbans to Carmen Miranda and skeletal bodies stuffed into lycra suits, children dressed in their school uniforms maroon or mustard, flitting through the streets, also hear the constant noise the bells of bicycles, taxis, and all accompanied by the pulsating Cuban rhythms that escape through the windows, doors and balconies. The richness of the history of Cuba is what has created the particular island music and has provided the great diversity of races of its people. This mix of Europeans, Asians and Africans created a loving, witty and full of life people who helped the country go ahead during the forty years of privation and shortages suffered Cuba. 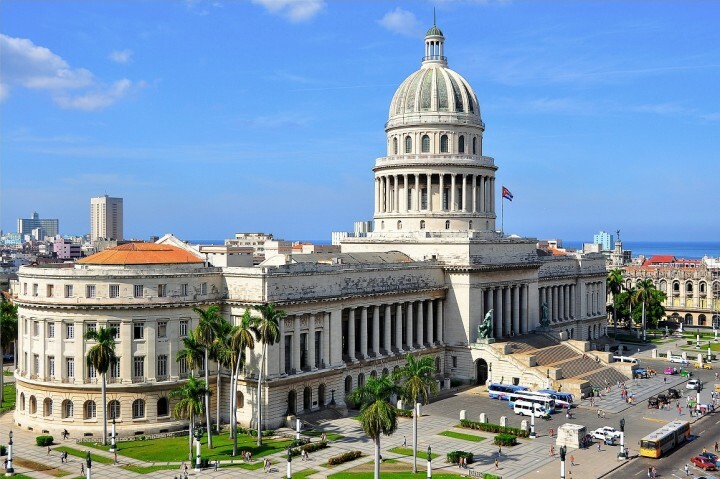 Cuba gained independence from Spain in 1899 thanks to the military aid of the Americans, who from then until the revolution of 1959, played an important role in politics, the economy and industry of Cuba. Many Americans were moved to Havana during Prohibition in the U.S., and that’s when the city became the playground of America with cheap liquor, prostitution and gambling at flow, clubs and lifestyle somewhat extravagant. By then abundant corruption and the gap between rich and poor was quite evident. A group of guerrillas led by Fidel Castro and Che Guevara, the dictator Batista got derrrocar in 1959 and the Americans fled Cuba taking much of the country’s wealth with them. In 1960, the U.S. government, somewhat paranoid to have a communist neighbor so close, mercenary organized a coup to overthrow Castro. However, the Americans were defeated at the Bay of Pigs (Playa Giron). This led to a trade embargo that is still in force and that Cubans continue to suffer. Despite his age, Castro still rules and he was awarded the improvements in health and education. 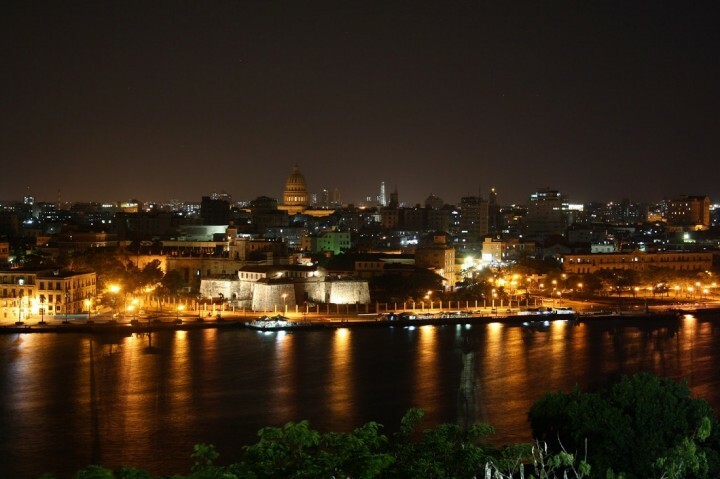 The Cuban economy is expanding more and more, thanks to the help of the government, which now allows the citizens of Cuba used U.S. currency, which until recently was illegal. This has created a consumer demand and rapid growth of tourism. Cubans remain optimistic and contagious laughter make you feel really welcome in the country.